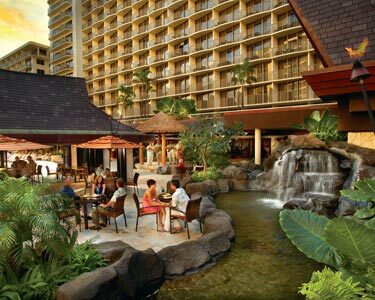 Most hotels will also charge for self/valet parking, as well as daily resort fees that are paid directly to the hotel. These prices are as of now and the flight legs and prices will change until booked. Arriving San Angelo 9:30am Tuesday 1/1/13. ~ Travelers can cancel their trip for any reason, no questions asked. Simply call us at any time prior to airport check-in to cancel and receive a complete refund, minus the cost of the All-In-One Travel Protection. ~ Other benefits include the ultimate in "no fees" for vacation revisions, special hurricane protection, and during travel benefits such as 24-hour emergency assistance, baggage protection and more. 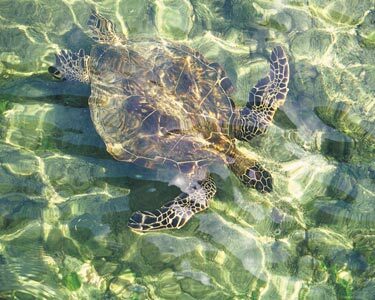 ~ Price Protection Guarantee --- where if the hotel portion of the vacation price decreases after the booking is made, the traveler will receive the lower rate. This benefit also applies to airfare on Charter/Value Flight Vacations. Fee Free Escape (NO Resort Fees)! This is one of Waikiki's most popular hotels. 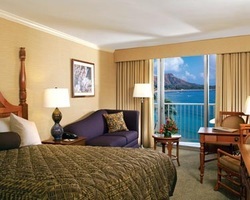 It is directly across from the most scenic section of Waikiki Beach. 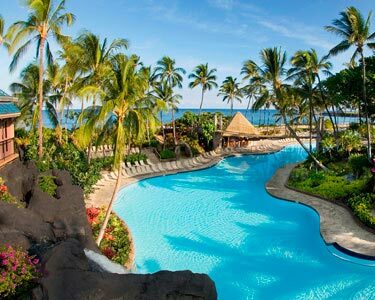 Guests will receive a free luau (Hawaiian/Polynesian dinner show) with the purchase of one adult ticket. Enjoy a spectacular dinner revue featuring romantic Hawaiian hula, thrilling fire knife dancers, and a scrumptious Polynesian feast! Luau certificate will be handed out upon check-in. One certificate issued per room. Guests must make their own reservation according to show times and locations printed on certificate. Guests staying in any guest room category will receive complimentary daily breakfast for every guest in the room. Breakfast is served on the pool deck every morning. Breakfast carts stationed on the pool deck offer a variety of hot and cold items. Guests may utilize cooler bags in the rooms to take breakfast to the beach or where ever they choose. Entertainment is also provided during breakfast. 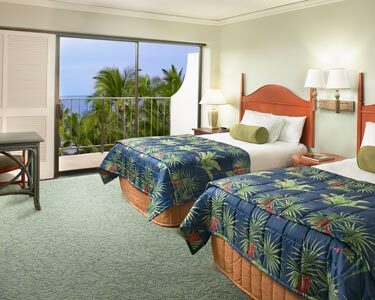 Guests who book a Partial Oceanview, or Oceanview guestroom will receive a complimentary room category upgrade upon arrival at the hotel, subject to availaibilty. 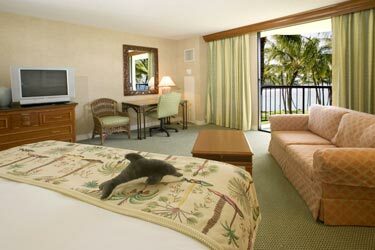 This is offer is not valid for guestroom categories with Aloha, Simple Saver or Wikiwiki in the title of the category. Whale Watching can be done ON the property! 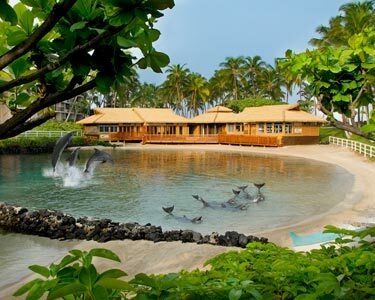 This hotel has the ONLY interactive dolphin program on the island! Reviews these and if you would like to explore other hotels or other room options -- let's look into it! These were just based on location, 3.5-4.5 star hotels with views of the ocean. After deciding this part of the trip -- we can start looking into the fun stuff!